Happy New Year loves! 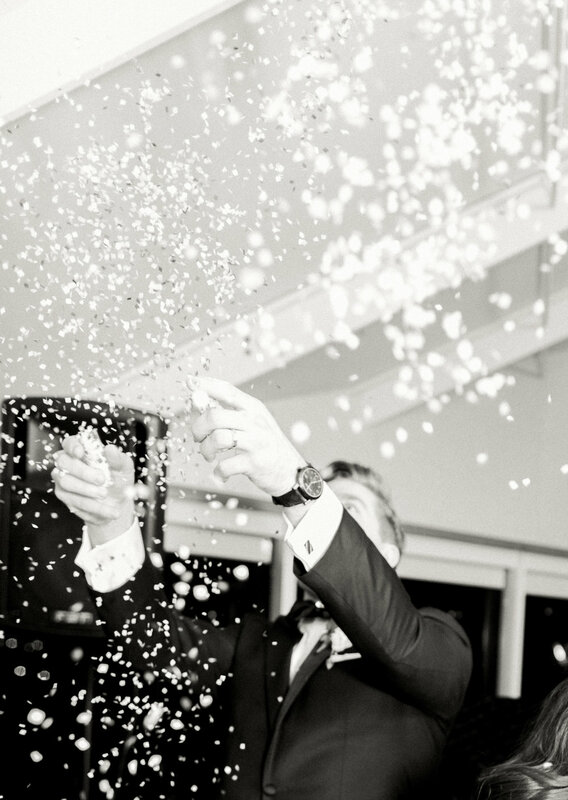 It's my first blog post of 2017, and what better way to begin than with Beth Ann and Drew's gorgeous New Years' Eve wedding! 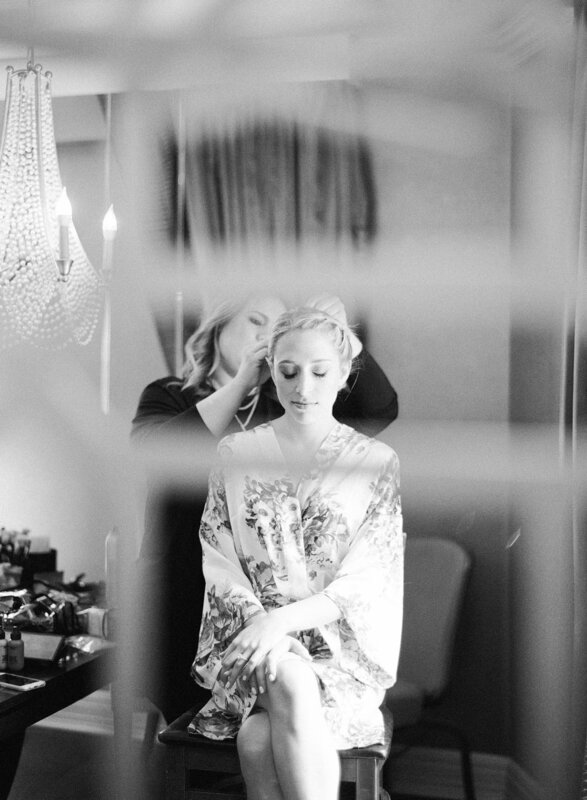 This past summer, I met Beth Ann during a photo shoot for Baltimore Bride magazine. As we casually chatted about her engaged life with Drew and NYE wedding plans, I remember thinking to myself that she had the most positive, warm energy and was just an overall awesome person to be around. She's one of those rare people who you meet and immediately feel comfortable with. So, when she asked me to be her wedding coordinator, I was beyond honored! 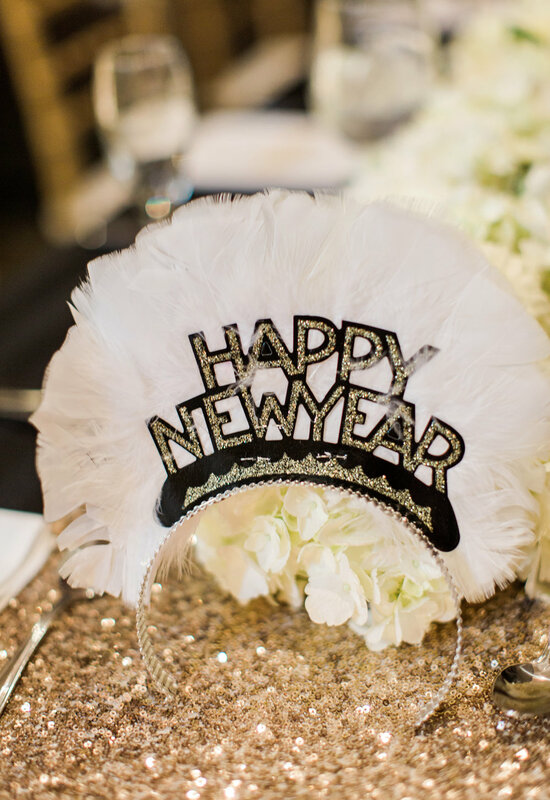 Beth Ann and Drew went with a classic NYE color palette of black, white, gold and of course plenty of sparkle. After a super romantic, emotional first look on the harbor, they said their vows at Corpus Christi Church in Baltimore, which was fully decorated with white poinsettias and beautiful candlelight from Christmas. 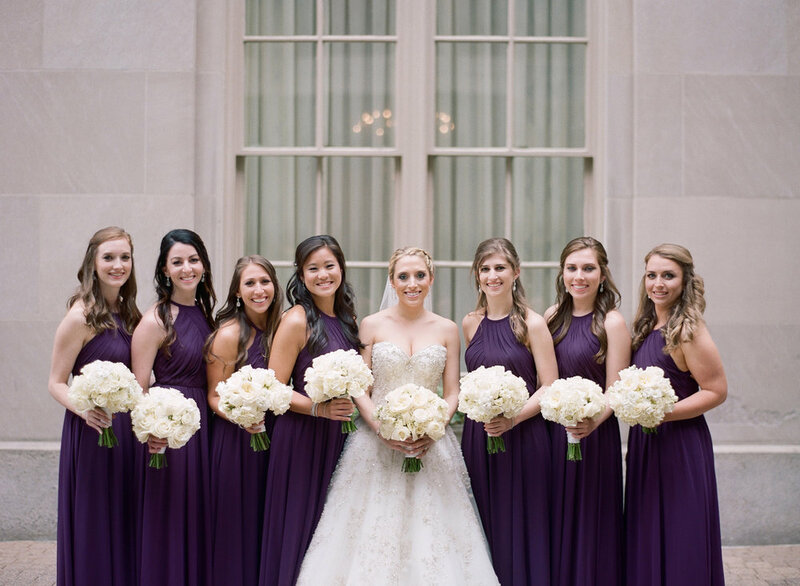 Beth Ann truly looked breathtaking in her Lazaro gown and cathedral length veil with delicate beading, and I loved her bridesmaids' sparkly rose gold gowns juxtaposed with classic white and green bouquets. Next, it was onto the Hyatt Regency Baltimore Inner Harbor to celebrate the new Mr. and Mrs. Kersse! 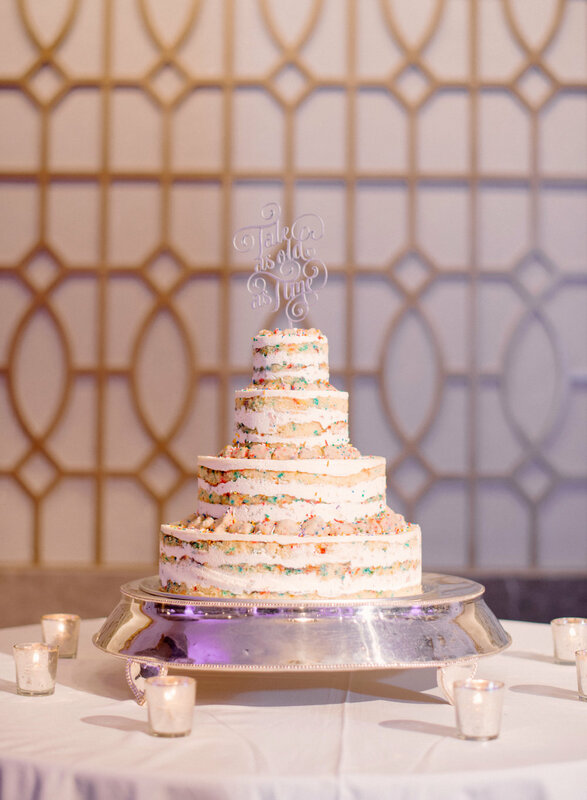 You could feel the magic in the air as guests arrived to the reception space at the top floor of the hotel, featuring stunning, panoramic views of Baltimore Harbor. Guest tables were adorned with black and gold linens with beautiful floral arrangements and candlelight, creating a perfect ambiance for the night. A custom gold script ornament with each guests' name was placed at their seat, which added such a sweet touch. Confetti flew, guests mingled and danced well past midnight, enjoying an amazing view of the New Years' fireworks over the harbor. Congratulations to the happy couple - you two are truly wonderful and know how to throw a party! 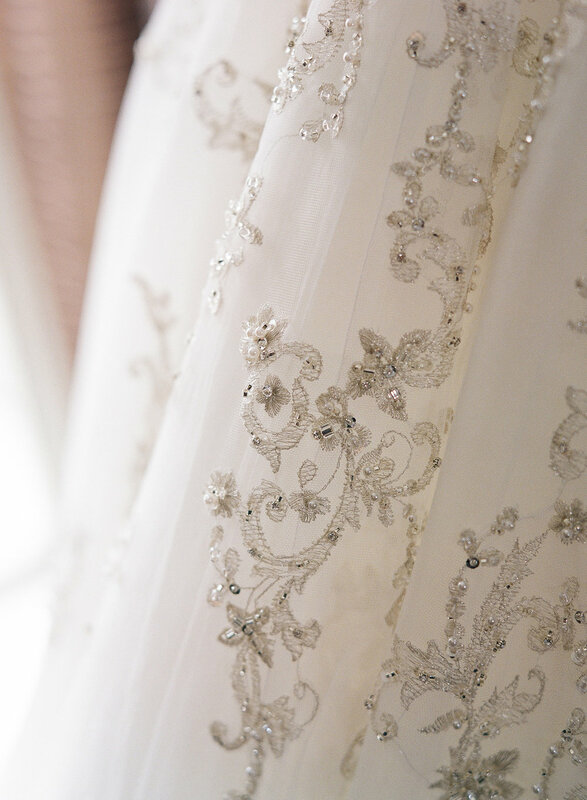 Enjoy these stunning photos by the incredibly talented Dyanna LaMora, which perfectly capture the details, the beauty and the love that surrounded this special day. Be sure to scroll down to the bottom of the post for the full vendor team!